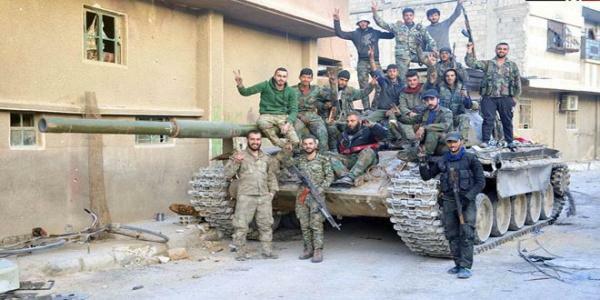 Units of the army on Sunday regained full control over Haza town in Eastern Ghouta after eliminating the terrorist groups in the area while the others fled towards neighboring towns. SANA reporter said that the army units carried out special operations against dens and gatherings of the terrorists in Haza town in Eastern Ghouta, regaining control on the area. The reporter added that the engineering units have removed mines and explosive devices planted by the terrorists among the houses of the citizens and main roads to prevent the civilians from getting out into the safe corridors.